Looking from the sumptuous the Dom Luis I Bridge, designed personally by the great Gustave Eiffel, at these ginger-tiled roofs, it seems as if you are dreaming or playing a computer game: the reality cannot be so beautiful and incredible! But it exists in Porto, Ribeira quarter, located at the majestic Douro River, which has been a pleasing eye candy from the Middle Ages. 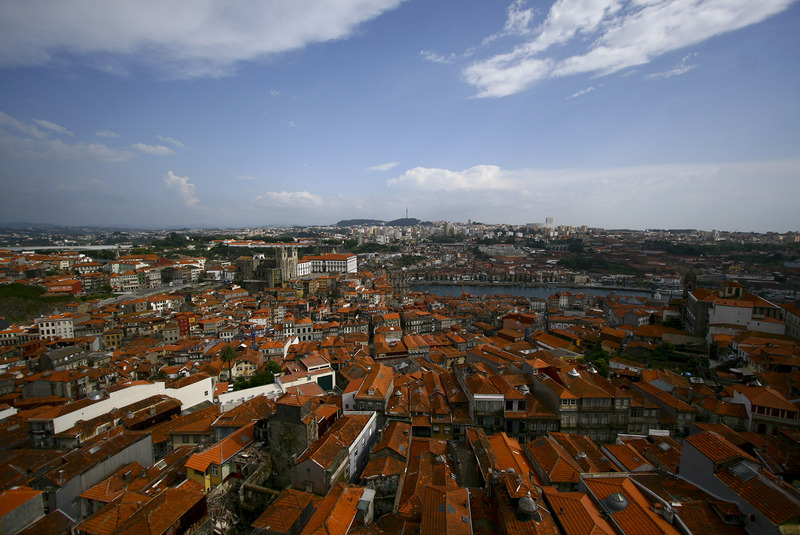 This neighbourhood imbued with the fishermen fraternity, has always been strategically important both for the city and Portugal, as a few kilometres away the river flows into the Atlantic Ocean. 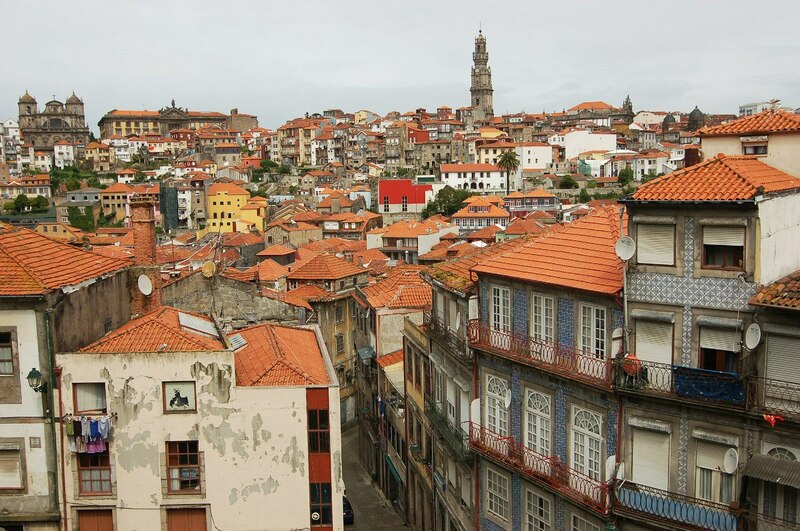 Therefore, in the history it happened even so, that while the centre of Porto was living its usual life, Ribeira was being fought for. 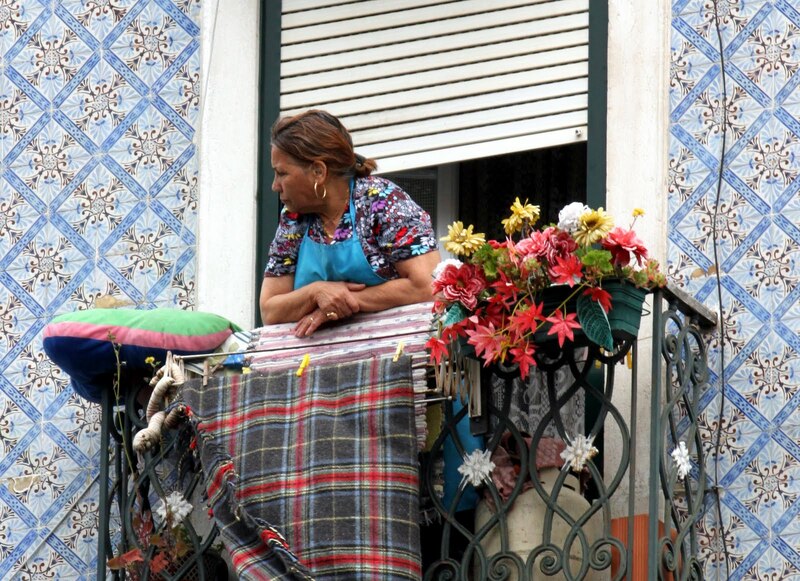 Local residents to this day are nicknamed tripeira, which translates as offal. It is not an insult, but quite the contrary - an expression of admiration: in the colonial era when the country was actively developed, the local fishermen and district residents worked for the benefit of the state giving their best catch to the fleet, and eating just leftovers. So, to this day, in spite of low-performing utility systems, is not accepted to move from Ribeira to more modern quarters. Even if these cosy houses are almost falling in pieces, tiles fray, and there is not money for repairs, all the neighbours save money and help the owner, rather than he moves to, let’s say, Boavista, having sold his property and territory at the fabulous price for a restaurant or mini-hotel. Pride and patriotism are in nature of local inhabitants. 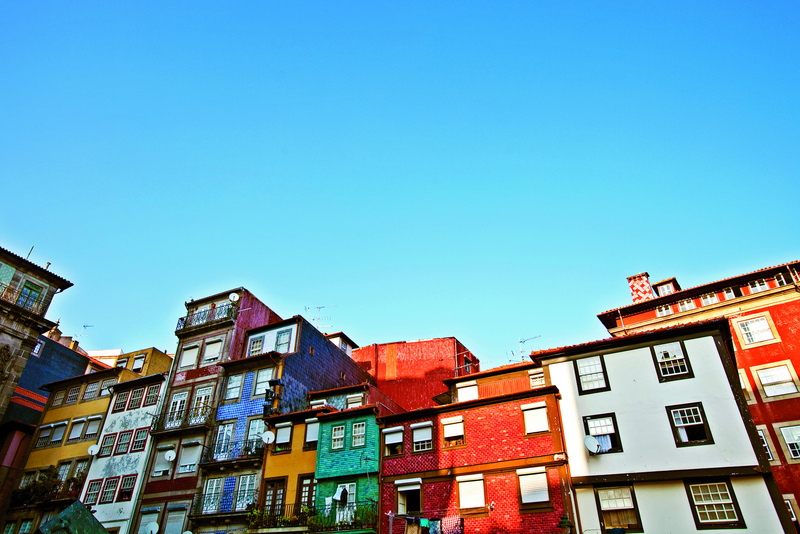 Tourists, though usually do not have time to learn a lot about the old times, enjoy what they see: medieval streets and seedy alleyways, where even the poorest houses are covered with famous Portuguese azulejo tiles, centuries-old cathedrals, waterfront dotted with wonderful cafes and cosy pubs. The grand Episcopal Palace, construction began in the 12th century, stands out among the attractions. It is here that most Portuguese monarchs got married and signed major orders. Together with the cathedral, the palace is a symbol of the greatness and power of the Empire. Its observation decks with views both at the centre, and at Ribeira, are one of the best places in the city for epic photos. 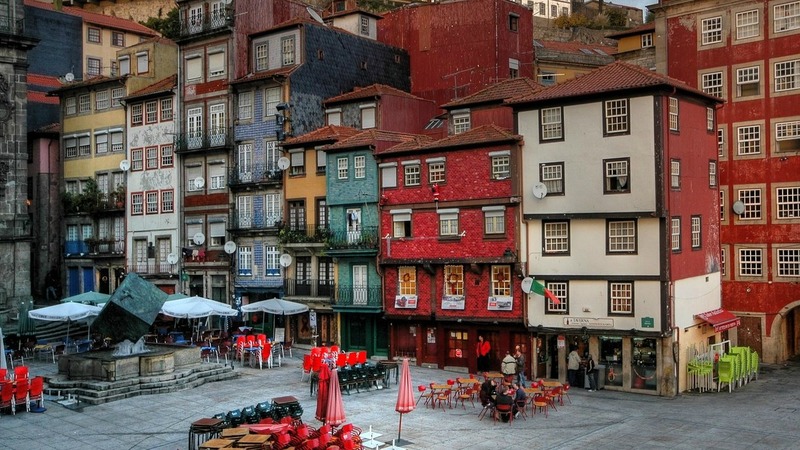 No less famous is the square Praça de Ribeira which since time immemorial on the weekends hosts fairs and markets to where peasants sail on boats from Douro green valleys to sell fresh meat, vegetables and fruits. Market noise is appeased by a magnificent fountain Cuba da Ribeira. In 1780 it was designed and decorated with Portugal’s coat of arms by a prominent architect José Rodriguez, whose hand can be traced in Lisbon and Porto. It seems that every building in the neighbourhood is a monument and treasure of world culture, a visitor has only to ask its inhabitants about something interesting, and enjoy a few hours of excited stories. Nevertheless, special attention deserves Casa do Infante mansion, where in 1394 was born Henry, heir of the King John the First. This man went down in history as Prince Henry the Navigator, whose expeditions praised the country for the whole world, and it is a custom there to honour and remember the heroes. The legendary Museu do Carro Electrico, the Tram Museum, is anchored at the edge of the district. Where you can first-hand see how the urban transport has been changing over the years, and admire rare specimens from all over Europe. The place is maximum friendly for visitors who are welcomed to get into the interior and driver's cab. The location is unique by the fact that it is from here trams depart to the ocean beach, and even more great is that they all are vintage and rare. A trip to the city beaches takes about 15-20 minutes, and costs two and a half euros, which is very little compared to the pleasure: it is hardly possible anywhere else to open the wooden window, pull your head out and enjoy warm sun and refreshing Atlantic air!